We are presenting some artworks from our Animation Class. 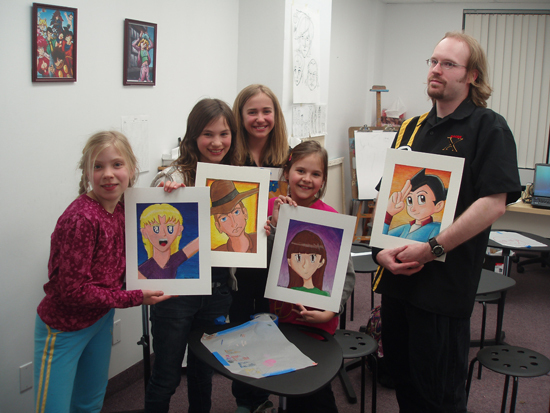 These particular students in the advanced mixed-media program has been introduced to colour techniques for comics and anime. Students learned how colour enhanced the look and personality of characters and created the illusion of texture, shadows, and highlights. We have demonstrated a variety of exciting professional colour techniques that helped students work to complete full colour illustrations of their very own. As a bonus, there also was a special digital art presentation. Some of the works shown in this post, for more artworks visit our gallery.